Hello faithful readers and/or PPR debutantes! I have been working dilligently on the relocation of my site to a new server that will provide me more future options than this current blog is able to do. Please check me out at www.portersprospects.com. 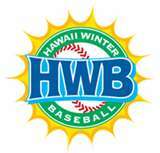 I have been posting daily updates of the Hawaiian Winter League and will provide up to date coverage of all Arizona Fall League action. If you are one of my link partners, please update my link on your site! Thank you for your support and I look forward to providing more fresh content throughout the off season! Hello to all of you! I apologize for my lengthy absense from the blog. I have been living in a prolonged technological nightmare with my laptop at the epicenter. When Dell offers a 2 year warrantee, they really should have stated that it was a life span. Over the past 2 weeks, my battery, ac adapter and hard drive died. My replacement drive then died and my replacement to the replacement was misinstalled by the tech “gurus” at a local store. Excuses aside, I am back with an addendum to my article that Beckett graciously published in the October Baseball Monthly. Beckett’s Eric Jahnke was great to work with and is a good friend in the industry. He served as the interim editor of this month’s publication and worked dilligently to make my article and Brian Fleisher’s Bowman Chrome article fit nicely in the magazine. Due to my longwindedness (who me?) a great deal of the most important sleeper prospect analysis was omitted. Here is the article in its full text as it was submitted to Beckett a month ago. The mid-summer release of Bowman Chrome has consistently struck gold with signatures and base cards of baseball’s elite young prospects. 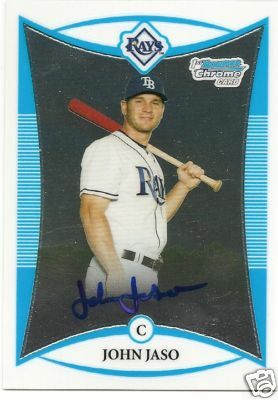 In 2006, Alex Gordon, Cameron Maybin, and Prince Fielder’s highly sought after autographs were complimented nicely by first time base cards of Mat Gamel, Jose Tabata, Elvis Andrus, and Jeremy Hellickson. 2007’s set boasted autos of Joba Chamberlain, Tim Lincecum, and Fernando Martinez, while base cards of Johnny Cueto, Chris Carter, Brett Anderson, and Tommy Hanson have provided solid depth to the set. 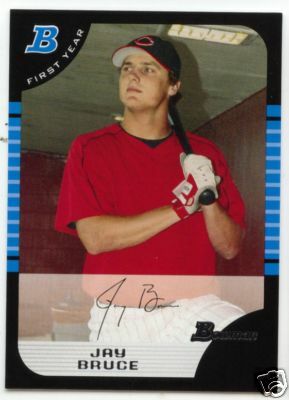 The 2008 set has, in large part, stayed true to the successful formula of years past with, first year autographs of top prospects, a 110 card first year prospect list, various pretty-colored serial numbered refractors and 1/1 printing plates. Also returning to the set, is the Head of the Class dual autograph subset which boasts first rate pairings of Yankees Joba Chamberlain and Phil Hughes, Tampa Bay Rays David Price and Evan Longoria, and Prince Fielder and Matt LaPorta. As Bowman hits the shelves, a new array of prospects awaits to become household names amongst the collecting masses. 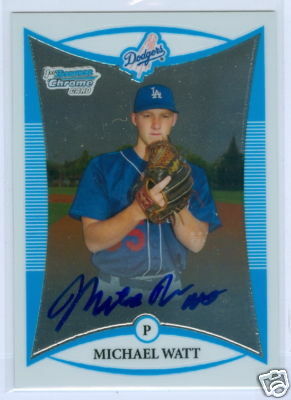 Autographs of elite prospects like Lars Anderson, Austin Jackson, Angel Villalona, Ryan Kalish, and Engel Beltre headline the set while first year prospect cards of Dominic Brown, Juan Francisco, Jake Arrieta, and Jhoulys Chacin have collectors flooding the Ebay search engine. 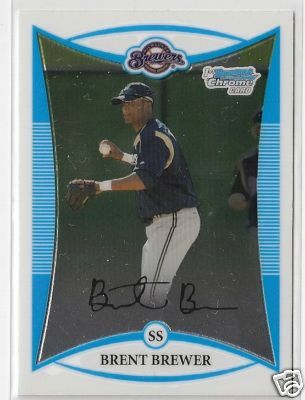 This article will give a closer look at some of the 1st year autographed and non-autographed prospect cards that are currently overshadowed by the much-hyped list mentioned above. All prices have been determined by average Ebay sales finished between 8/16 and 8/31. Latos was passed over by teams until the 11th round in the 2006 draft due to concerns about his maturity and exuberant bonus demands. Latos agreed to a way overslot $1.25 million bonus just moments before the deadline and reported to short season Low-A Eugene for 16 games where he went 1-3 with a 3.83 ERA and 74 K’s in 56 IP. Latos has spent this season at three different stops, including Eugene, where he has a cumulative 2-3 record with a 2.65 ERA and 60 K’s in just 51 IP. Opponents are hitting just .223 against him and he forces 1.5 groundouts per flyout. Strengths: Latos has the makings of three very good MLB quality pitches including a fastball that reaches 94-97 MPH. Because of his long frame, Latos is able to get good downhill leverage on the ball with late movement. Complimenting his fastball are a tight curveball and hard change with a late drop that could develop into an out pitch. His long lean frame suggests that he could build more bulk as he matures. In addition, Latos is a good competitor who wants to win. Weaknesses: An oblique injury in late May sidelined Matt for a couple of months, limiting him to only 14 games this season. While the injury seems to not have any long term effects, injuries to young prospects, especially pitchers, are never a good thing. Latos needs to get a better feel for his curve and change. Like many young power pitchers, he tends to overthrow them and needs to learn how to take a little off of the pitches in order to give them more action. Bottom Line: Latos has the stuff and stature to be a front of the rotation pitcher in the next three to four seasons. 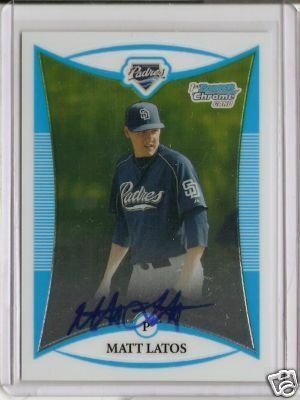 If he can get a full healthy season under his belt next year, Latos could very well put up some dominant numbers and place himself on the fast track to Petco Park. Watt was a 2nd round pick by the Dodgers in the 2007 draft out of high school in California. Watt features an 89-92 MPH fastball with good movement and a developing curveball. Some were skeptical of Watt’s acquisition as a 2nd rounder, but he has responded well at rookie-level Ogden where he has gone 8-4 with a 4.34 ERA and 74 K’s in 75 IP. Positives: Watt has proven to be durable, averaging 6 IP per start and he has won 8 of his last 10 decisions. Unlike many young southpaws, Watt has displayed good control of his sinking fastball and has a very good 1.79 ground out to flyout ratio. Watt’s control is improving after some early season struggles, which means that he may be becoming more consistent with his breaking ball. Negatives: Watt has some mechanical issues to iron out and his slight 6-1 185 lb. frame indicates that he has likely topped out physically and will not add velocity. Refining his off-speed pitches will continue to be paramount to his development as a mid-rotation pitcher. Rookie-Level hitters are batting .270 against him this season, which indicates that Watt pitches to contact or does not have dominant enough stuff to exploit younger hitters. Either way, this could become an issue as he faces better hitters. Bottom Line: The Dodgers have a knack for scouting and developing young pitching talent, and Watt has progressed well so far. Watt does not have frontline stuff, but he could very well be a nice mid-rotation compliment to future ace Clayton Kershaw. Jaso is the oldest prospect on this list being drafted by the Rays in 2003 out of Southwestern. Jaso has been a .300 career hitter through 5 minor league seasons averaging 8 HR and 45 RBI per season. This year, Jaso performed well at AA Montgomery and AAA Durham hitting .273 with 12 HR 67 RBI and a sterling 72 walks to only 47 K’s. Strengths: The impeccable walk to strikeout ratio stands out first, as Jaso has a strong grasp of the strike zone and a quick but unorthodox swing that generates power to the gaps. Jaso is also has solid catching skills and is agile for a player of his size. Weaknesses: Jaso will turn 25 by the time you read this issue, which is not young for a prospect. He has had a history of health issues, including shoulder ailments which limit his arm strength and put into doubt his ability to stay behind the plate long term. Bottom Line: Jaso has enough upside to push Dioner Navarro for time behind the plate in Tampa Bay. Jaso was just called up on September 1st when the rosters were expanded. With the Rays as a playoff contender, Jaso may get a look behind the plate, and his lefthanded bat may make a dent in some box scores down the stretch. His ceiling is not nearly as high as other players on this list, but he is currently the player on this list who is most likely to make an immediate impact with his club. Vallejo was signed by the Rangers as a free agent from the Dominican Republic in 2004. Scouted mainly for his infield defense and blazing speed, Vallejo’s power and plate discipline hindered him from being one of Texas’ top prospects in 2007. This season has been a different story as Vallejo has combined to hit .295 with 11 HR 81 RBI and 80 Runs in 133 games between High-A Bakersfield and AA Frisco. He also continues to torch opposing batteries on the basepaths, stealing 40 bases in 44 attempts. Positives: Vallejo has had a tremendous breakout this season. His 11 HR in 533 AB’s more than doubled the 5 that he had accrued in over 1,300 career AB’s. While increasing his power production, Vallejo has also cut down his strikeouts from last season. At just 21 years old he has adjusted quite well to AA baseball and is shaping up to be a fine top of the order candidate who should make his MLB debut within the next two seasons. Negatives: Ian Kinsler. The All-Star 2B is locked up with the Rangers through 2013 with little chance of parole. Vallejo has the athleticism and arm strength to make a transition to CF or LF, but the presence of other viable options like John Mayberry Jr., Julio Borbon, Nelson Cruz, and eventually Engel Beltre provide considerable competition for Vallejo. Additionally, this season’s success in hitter-friendly leagues like the California League and Texas League may be a factor in the spike in Vallejo’s plate production. Bottom Line: Vallejo’s most pertinent value may be as a trading chip that the Rangers could employ to attain some much needed pitching help. Whether he is in a Rangers uniform or not, Jose Vallejo’s boost in offensive production is cause to take notice and, at less than a half dollar per card, his chrome prospect cards are solid values. Signed out of Venezuela in 2006, Jose Martinez opened some eyes last year at Rookie Level Bristol hitting .282 with 7 HR 37 RBI and 12 SB in 65 games. Ranked as the 7th rated prospect by Baseball America, Martinez earned a promotion to Low-A Kannapolis and continued to show promise hitting .306 with 2 HR 17 RBI and 7 SB in 39 games. In mid-May, Martinez suffered a torn ACL which sidelined him for the rest of the ’08 season. Positives: Martinez has a long lean frame that should add strength as it matures. Martinez boasts a raw 5 tool skill set with plus plus power potential and good speed. He has the range and arm strength to play any OF position and his plate discipline is promising for a prospect of his age. Negatives: With any knee injury, there is risk involved in it becoming a recurring or nagging injury as his career develops. There is a good chance that this will impact his speed and will likely relegate him to a corner OF position. Also, like many prospects his age, Martinez still has a very raw set of offensive skills and a proneness to strike out often. 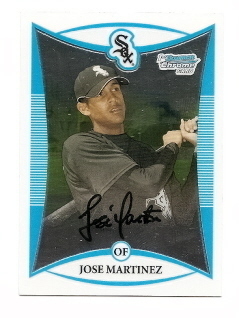 Bottom Line: The specter of Martinez’s knee injury may cause many collectors to shy away from his cards. But make no mistake, when healthy, Martinez’s comprehensive tool set may place him at the top of this set’s prospect list. 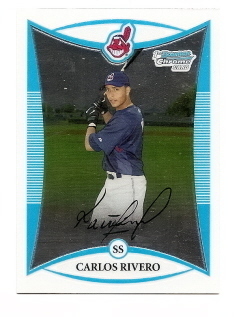 Rivero is another Venezuelan free agent signee who is entering his fourth year with the Cleveland Indians organization. Last year at Low-A Lake County, Rivero compiled his best season as a pro, hitting .261 with 7 HR 62 RBI and 26 doubles in 436 AB earning a 2008 promotion to High-A Kinston. Rivero, despite being one of the youngest players in the Carolina League has been solid, hitting .274 with 6 HR and 57 RBI. Positives: Rivero, despite his size, has the glove, range, and arm to play at SS at the major league level. Some skeptics believe that he will lose some of his range as his body matures and bulks up, thus relegating him to be a slick fielding 3B. Rivero has real power potential and above average bat speed. The high amount of doubles this season and last are an indicator of future HR power. Negatives: On par with many young, physically gifted players, Rivero is unrefined at the plate and inexperienced with working counts and recognizing off-speed pitches. While it is not a huge concern with players of Rivero’s talent, it is often the key determinant in the overall success of their development. Rivero will not set any land speed records on the basepaths, despite his apparent athletic skills. Most concerning, however, are the observations of front office executives and personnel of Rivero’s tendencies to lose focus and become sloppy with fundamental skills. Bottom Line: Despite the laundry list of negatives, Rivero is young and has the ability to refine his approach to various aspects of his game. Couple that with the untapped wealth of power potential pent up inside his 20 year old body and you have a player worth spending a few bucks on. Britton, a 3rd round high school pick in the 2006 draft, features a heavy 90-92 MPH fastball with a sharp slider that is improving into a plus pitch. Mixed in with a decent curveball, Britton’s pitch repertoire has baffled hitters at Low-A Delmarva. Britton has gone 11-7 with a 3.18 ERA this season in 26 starts. Positives: Britton, at age 20, already has three very good major league calibur pitches and his changeup is also progressing well. His frame has room for bulk which could add velocity to his fastball and stamina for a heavy workload. Though his 107 K’s in 141.1 IP is not dominant, he induces 3.04 groundouts per every flyout and opponents are only hitting .220 against him. Britton seems to know how to pitch and there is always room for southpaw sinkerball pitchers in any rotation. Negatives: Britton’s command can get away from him sometimes as he still is learning how to set up hitters and locate his array of off-speed pitches. Also, Britton is not a big strikeout pitcher, which means that he can get hit hard from time to time when he doesn’t have his best stuff. Bottom Line: Similar to Michael Watt, Britton has a great shot to be a mid-rotation workhorse. The Orioles organization has strengthened itself quite a bit with strong drafts of Matt Wieters, Jake Arrieta, Brandon Snyder, and Nolan Reimold; and acquisitions of Adam Jones, Chris Tillman, Matt Albers, and Troy Patton have Baltimore positioned nicely for a bright future. How could a guy with the last name Brewer play for any other team than Milwaukee? Certainly the Brewers were looking well beyond his last name when they selected him in the 2nd round of the 2006 draft. Brewer showed equal flashes of brilliance and rawness last season at West Virginia where he hit .251 with 11 HR 49 RBI 42 SB and 170 K’s. This season, Brewer began in West Virginia again and struggled hitting .213 with 0 HR and 54 K’s in 47 games. Positives: Brewer’s blend of athleticism and tools is tremendous. He has above average power potential which should develop as he adds strength to his projectible frame. His range, arm strength, and speed are even better. Additionally, Brewer has exuded strong leadership skills, make up, and a tireless work ethic that has prompted the Brewers organization to aggressively promote him to High A despite his early season struggles. Negatives: There are many rough patches surrounding this prospect. 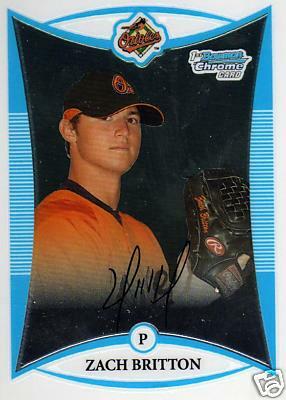 His plate discipline and pitch recognition is still quite unrefined, though it has improved significantly since his promotion to Brevard County. The power displayed last season has been non-existent this year as he has hit just 2 HR and Brewer’s struggles extend to the field as well where he has committed 20 errors in just 74 games since his promotion. Bottom Line: With the presence of J.J. Hardy and Alcides Escobar looming above him, Brewer’s may find himself chasing down flyballs in Miller Park. The Brewers would be best suited to take their foot off of the accelerator with him, allowing him to refine his plate approach and translate some of his 30-40 double power to double digit HR power. In doing so, Brewer will be a strong candidate to be a top of the order hitter for Milwaukee in 2011. 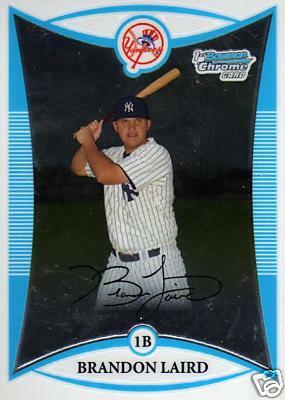 Laird, a Scott Boras client, was selected in the 27th round of the 2007 draft and quickly displayed that he was prepared to handle professional pitching, hitting .339 with 8 HR and 29 RBI in 29 games with the Yankees’ Gulf Coast League team. That performance earned Laird a promotion to full season Low-A Charleston where he has hit 21 HR 81 RBI and 30 doubles in 439 AB. Strengths: Laird is powerfully built and knows how to use it. He has a quick, compact swing that launches balls to all fields with tremendous power. Unlike many other young hitters, Laird has decent plate discipline that is sure to improve as he gains more experience. Laird has a plus arm for a 1B and is working hard to improve his physique. Laird has good bloodlines with his brother Gerald being a solid catcher with the Texas Rangers. Like Gerald, Brandon’s hard work outshines his natural ability. Weaknesses: Laird’s defensive prowess has waned since high school and he profiles to be a below average fielding 1B. Laird is not a physical specimen, and some team officials believe that he topped out in high school. Laird will need to maintain control of his body to stay healthy and at 1B. Though his strikeout rate is not cause for concern, his walk rate is not cause for celebration. Laird will continue to learn to work counts, which should add to his power output down the road. Bottom Line: The Yankees organization is thin when it comes to 1B prospects. Laird has is by far the best hitting prospect of the bunch and has a chance to move rapidly. Keep close tabs on his whether or not he is able to stay at 1B as he develops. Gut instinct says that the Yankees will opt to go fishing in the free agent market for a viable 1B, but, be it as a 1B or DH, Laird will get every opportunity to work his way into the Yankees lineup within the next two to three seasons. Minnesota’s 2006 2nd round selection who turned down a scholarship to play RB at Purdue and accepted a $575,00 contract from Twins. Last year, Benson played his first full season last year at Low-A Beloit and had a mediocre season hitting .255 with 5 HR 38 RBI and 18 SB. He repeated Beloit this season only to produce similar results (.247 4 HR 27 RBI 17 SB in 70 games), before suffering a stress fracture in his back that has sidelined him for the rest of the season. Strengths: Benson has superb athleticism and a linebacker-like frame. Benson’s defensive tools are even more impressive than his offensive tools, as he can play any OF position with great range and a strong arm. Benson should have 20 HR 20 SB potential as he continues to refine his offensive approach. Weaknesses: The back fracture is a big concern. 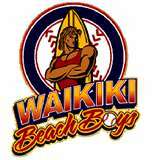 However, there has been speculation that he will indeed play winter ball in Hawaii or Venezuela. If so, it would serve as an opportunity for Benson to work on his discipline at the plate and on the basepaths, which are both substandard for a player with his skill set. Bottom Line: Benson is the consummate young athlete that is still learning to play baseball. His game and abilities are reminiscent of a young Mark Kotsay, and if he can remain healthy and dilligent, he has all the ability to be even better than that. This year’s list of prospects and autographs boasts a multitude of intriguing talents. As always, prospecting is anything but an exact science, but the promise displayed in the afore mentioned talents should provide a nice bang for your prospecting buck. Happy prospecting! Is he in a bomb shelter in this picture? First, let me apologize for my lack of content over the last few days. My laptop is having issues and jockeying for time on the home computer is challenging. Nonetheless, I remain dedicated to providing top-quality and relevant material in this great market that we love. I am writing this post with great joy as I get to say “I told you so” about a prediction that I made in an earlier post. In the post, I predicted that the then struggling Jay Bruce would go on a tear in September finishing the season strong. It appears that Mr. Bruce is doing exactly that, hitting 2 HR’s last night to increase his season total to 21. Bruce is hitting .298 and has 7 HR and 11 RBI in the month of September. Additionally, he has 9 walks (a season’s best for a month) and is cutting down his strikeouts. Superstardom is on the horizon for the 21 year old masher and his cards are selling for about 40% of what they peaked at after his sterling debut. 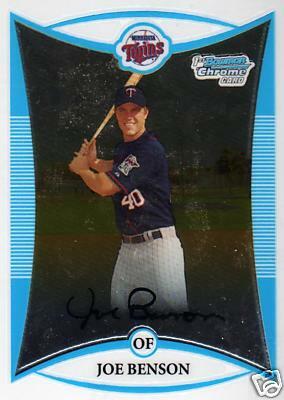 Bowman Chrome Draft RC’s can be found regularly for $6-8 which, to me seems like a solid buy. 2009 will be Bruce’s first full season with the Reds, and there is no reason why we can’t expect him to hit 30-35 HR as a 22 year old. This week’s show will feature Tony Joyce, general manager of Sportscard Forum to talk about some of the benefits and pitfalls of online sportscard trading. Reed Kasaoka, head buyer of Dave and Adam’s Card World will give information on how to make sure the autographs and memorabilia that you buy is authentic. 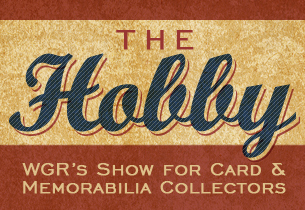 Finally, the show will discuss how professionally graded cards receive much higher market prices. The show is in its 3rd week and is picking up steam. It airs on Saturday mornings from 8-9 AM Eastern Standard Time. Holy Smoak…Razor’s At It Again! Razor Collectibles increases its prospect count to 25 with its three most recent 2008 draft signees #11 pick Justin Smoak, #57 pick Robbie Ross, and #313 overall pick Robbie Weinhardt. Let’s take a closer look at each of them. As if Texas needed MORE offense! Smoak is a power-packed switch hitter in the mold of former Rangers 1st rounder Mark Teixeira. Smoak, the former South Caroline Gamecock, annihilated SEC pitching this spring hitting .383 with 23 HR 72 RBI scored 63 runs and garnered an impeccable 57 BB/28 K’s ratio en route to a .505 OBP. Smoak continued his hot hitting .305 while smacking 3 HR and 6 RBI at full season Low-A Clinton. Additionally, he is an adroit defender at 1B who could contend for Gold Glove awards on an annual basis. Smoak may well be the most powerful hitter in the ’08 draft and is on the fast track to the rapidly improving Texas Rangers. Do not be surprised to see the Rangers shift super slugging rookie Chris Davis to 3B while issuing Hank Blalock his walking papers at the end of this season, thus prompting the accelerated development of Smoak. Ross is a 5-11 175 lb. southpaw signed out of a Kentucky high school. He features 3 MLB quality pitches including a 90-92 MPH fastball that can reach 94 at times. He also has a good feel for his hard slider and has good fade to his changeup. He was impressive as a prep pitcher going 5-1 with a 1.07 ERA and a 74 K/6 BB ratio in just 54 IP. Ross signed late and did not pitch in any games for the Rangers’ affiliates this year. 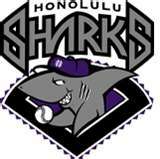 He will likely report to an extended spring training before checking in with the Rangers’ NW League Spokane next summer. Weinhardt was a powerful relief pitcher at Oklahoma State University where he went 6-0 with a 3.89 ERA in 25 games. Weinhardt struck out 70 hitters in just 44 innings while walking 20. The Tigers moved him to Lakeland after his signing where he was equally impressive in 21 outings going 3-1 with a 2.04 ERA and 4 saves. Weinhardt’s fastball peaks at 96 MPH and his mid-80’s slider features a sharp late break. He has shown mental toughness and the ability to bounce back from tough outings. The Tigers are desperate for quality late inning relievers with the malaise of Todd Jones, Joel Zumaya, and Fernando Rodney. Weinhardt is an advanced college pitcher who should begin the season in AA with a promotion to Detroit happening at some point in ’09. When I spoke to Razor’s president Brian Gray, he told me that this set would feature 60 prospects that included about 30 draftees and 30 other prospects. I will keep tabs on all the new signings and product details over the next few months. Release date is set for some time in December following the issuance of the much anticipated 2008 Bowman Draft and Chrome set. Can Razor steal any of its thunder? We shall see….stay tuned! 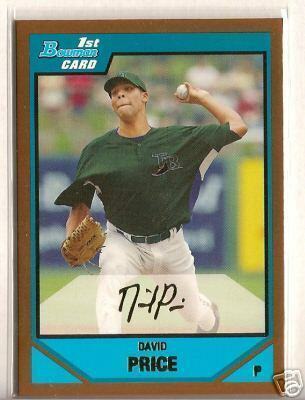 It took until the middle of September for the collecting world to get a glimpse of the 2008 Minor League Baseball Player of the Year and former ’07 #1 overall pick David Price. Price debuted against the New York Yankees in relief of Tampa Bay’s starting pitcher Edwin Jackson (who had an atrocious start). Price pitched very well allowing 2 runs on 3 hits over 5.1 innings. He allowed a HR to Derek Jeter and an RBI single to Wilson Betemit while striking out 4 and walking none. This start is a breath of fresh air as Price showed himself to be human when he struggled a bit after being promoted to AAA Durham. It would have been nice to see Tampa Bay bring him up by Sept. 1, even for one outing, before sending him back down to Durham. This would have made him available for the postseason roster, which would have proven very beneficial to his national media exposure and, consequently, market value. Price should still get a few more outings under his belt before the end of the regular season. There has been some conjecture that he may get a start when the Rays have a double header, but it is currently just a rumor. 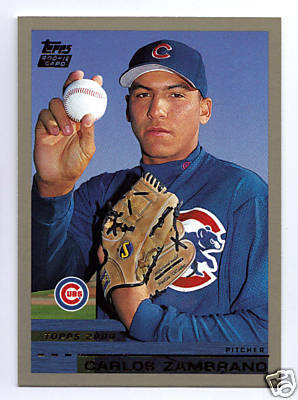 Last night, Chicago Cubs starting pitcher Carlos Zambrano fired a no-hitter against the surging Houston Astros. The only things separating Zambrano from perfection were a walk to Michael Bourn in the 4th inning and hitting Hunter Pence with a pitch in the 5th. Zambrano struck out 10 in the outing including Darin Erstad to end the game. This outing ironically comes on the heels of my last $100 Well Spent article in which I lauded Rich Harden as being the true ace of the Chicago Cubs. 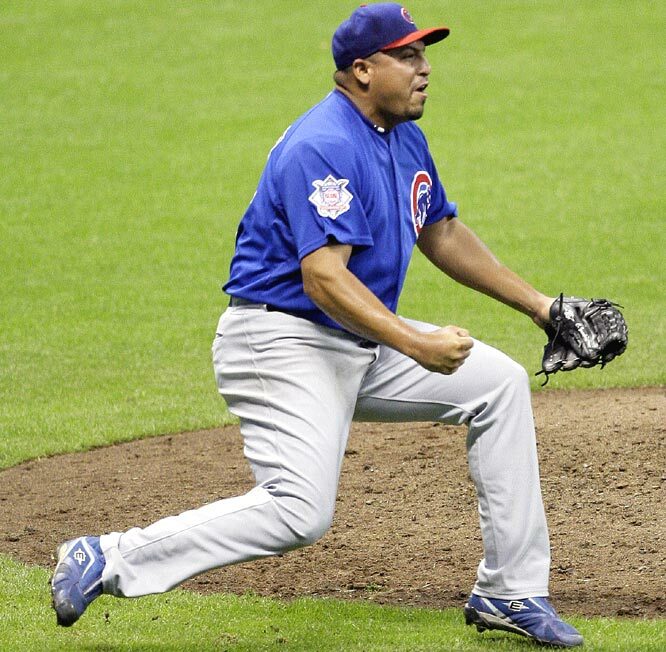 While I steadfastly maintain that this is indeed still the case, Carlos Zambrano still has all the makings of a #1 starter and is, perhaps, the best #2 starter in all of baseball (with apologies to Dan Haren). The market for Zambrano’s 2000 RC’s have jumped significantly. 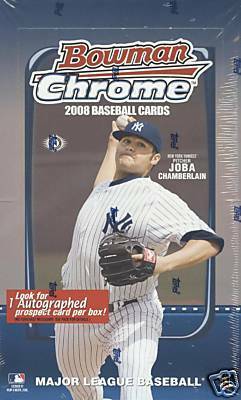 Prior to the no-hitter, the Topps Chrome Traded cards were selling for approximately $3.00 each. Those cards are now selling for about $10.00 each. Similarly, his Bowman cards and Topps Traded cards has sold for exponentially more. There has been no documented Ebay sales of his best RC, the 2000 Topps Traded Autograph, but several are currently on sale right now for $200 and up. Zambrano has been solid all season pitching to a 14-5 record and a 3.41 ERA. However, he is battling shoulder tendonitis which could drastically effect his post season contributions and performance. As remarkable as his performance last night was, let us not forget that it was against a team that has been recently displaced from their home park to an environment, Miller Park, that was rooting hard for the Cubs. Zambrano’s popularity is at its apex…sell ’em if you’ve got ’em!